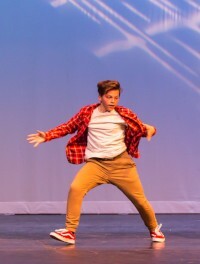 A dance student with many accolades, Jacob Montey is part of a growing movement of tap and hip hop dance in Nebraska. Jacob the Nebraskans for the Arts’ Student Spotlight in the Arts award winner. Jacob started dancing at a young age and excelled immediately. His abilities to be a quick learner and outstanding performer led to him being a part of the B.O.Y.S. (Bring Out Your Swag) performing group – Lincoln’s first boys-only performing group. Jacob believes dance is an important resource for improving himself. "It has allowed me to be more social and have more appreciation for the arts. I have gotten the opportunity to meet many people at the competitions we have traveled to. I'm grateful for my teammates and teachers who have shown me that there is more to dance than meets the eye." 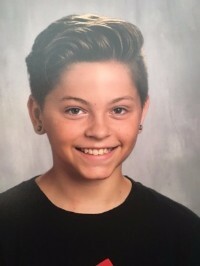 In addition to his dance accolades, Jacob is a Lincoln East High School Honor Roll Student and was a BMX expert by the age of 7.